Here at A.B. Martin, we want to see you succeed in your construction business. That is the driving force behind many of our practices over the last 70 years – like delivery to your job site, free color charts, samples, and literature for your customers, and same-day metal service… often with only hours’ notice. 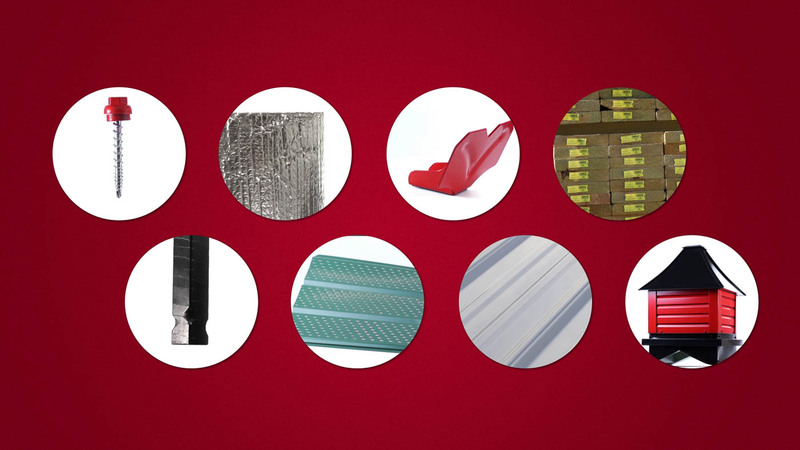 In this article, we want to show you 8 products that can add value to buildings for your customers – setting you apart from the competition, helping you win more jobs, and hopefully increasing your bottom line. A.B. Martin Roofing Supply has partnered with ST Fastening Systems to supply the highest quality carbon fasteners in the industry. 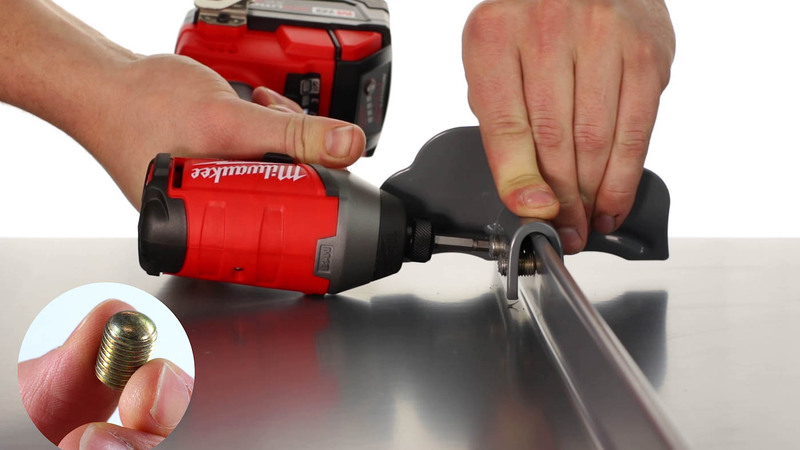 From its heavy zinc coating and powder-coating for corrosion resistance, to its innovative Micro Bit Drill Point for consistent fastening, the WoodBinder is the industry standard for metal to wood applications. Out of that was born the state-of-the-art ZXL Woodbinder. It uses the same powder-coating and Micro Bit Drill Point technology, but with a revolutionary zinc and aluminum head that is molded to the carbon fastener. This unique zinc/aluminum alloy molded head provides the ultimate corrosion resistance and added strength. Plus, the cut rubber washer tucks under the cupped head for long-lasting protection against UV damage. Because of the added protection, the ZXL Woodbinder carries a 40-year corrosion warranty to mirror the paint warranties of A.B. Martin’s metal panels. That makes it the new industry standard for residential roofing, and an inexpensive insurance policy to pass on to the homeowner. 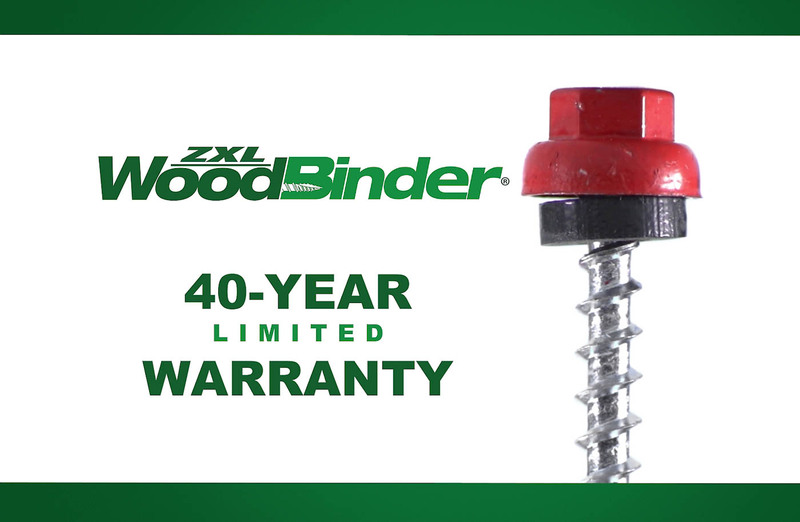 So when you are closing the deal on your next residential project, offer your customer a better screw with the WoodBinder, or the best screw with the ZXL WoodBinder and 40-year warranty. There are three factors necessary for post rot and decay: Moisture, Oxygen, and Soil Nutrients. 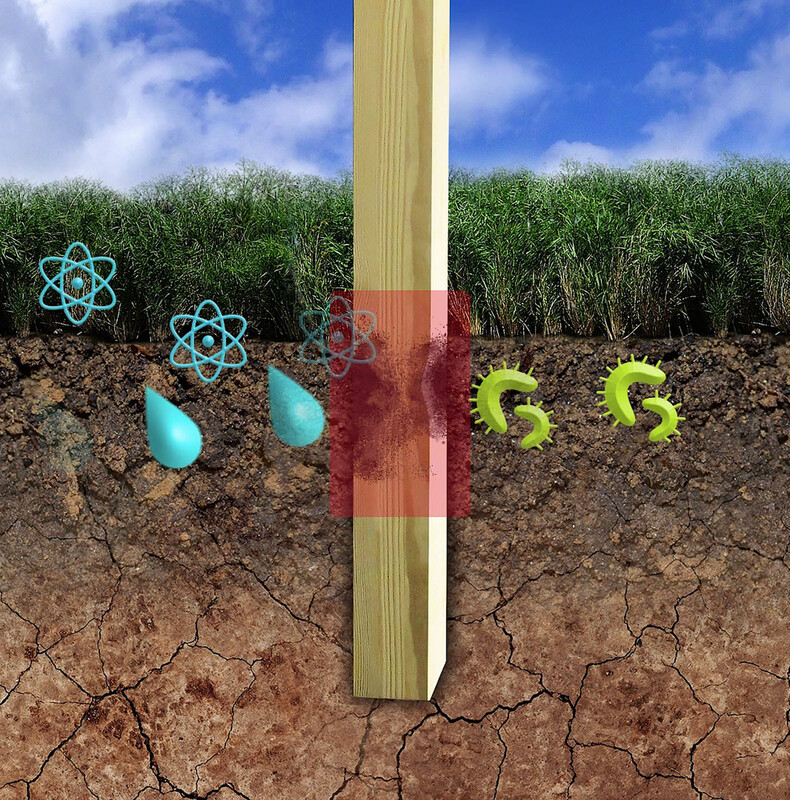 That puts the decay-zone at 2″ above ground and 16″ below ground. The Green Post (distributed by A.B. Martin) is an inexpensive upgrade to extend the life of your posts thanks to its double-barrier protection. The Green Post is a treated post or glulam with a protective Bitumen coating that is wrapped in a heat-sealed Polyethylene membrane that serves the double purpose of preventing moisture from the soil or concrete from reaching the wood and keeping the treatment from leaking into the soil. The Green Post adds very little weight, making it easy to set just like a standard post. Plus it comes pre-notched to maximize uplift restraint when used with concrete. 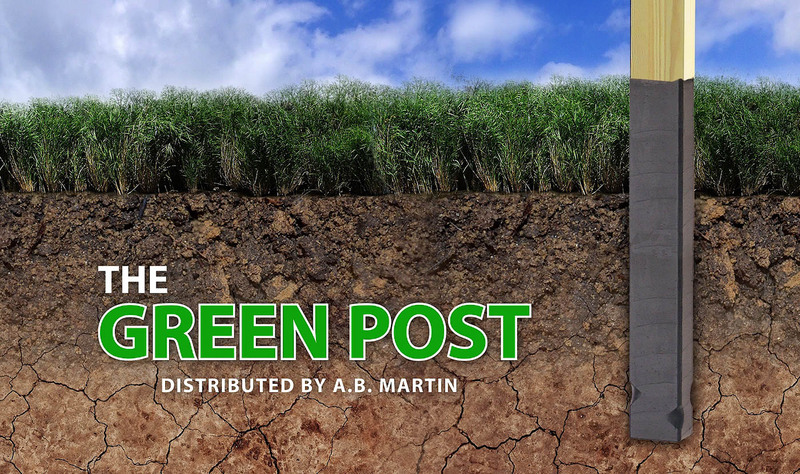 Check out the Green Post – the most affordable, all-in-one solution for in-ground post decay and uplift restraint. There are many reasons why contractors use the Double Bubble Insulation. The first is to stop condensation. Condensation happens when warm, moist air comes in contact with the cooler metal panels causing droplets to form on the underside of the roof. Double Bubble makes use of very simple technology; using foil and air gaps to prevent interior condensation completely. The Second reason Contractors use Double Bubble is to protect the metal panels from ammonia vapors caused by animal confinement. Without the Double Bubble as a vapor barrier, the panels might begin to rust. The third reason to use Double Bubble is to save on the customer’s energy bill. Double Bubble blocks an amazing 97% of radiant heat transfer. 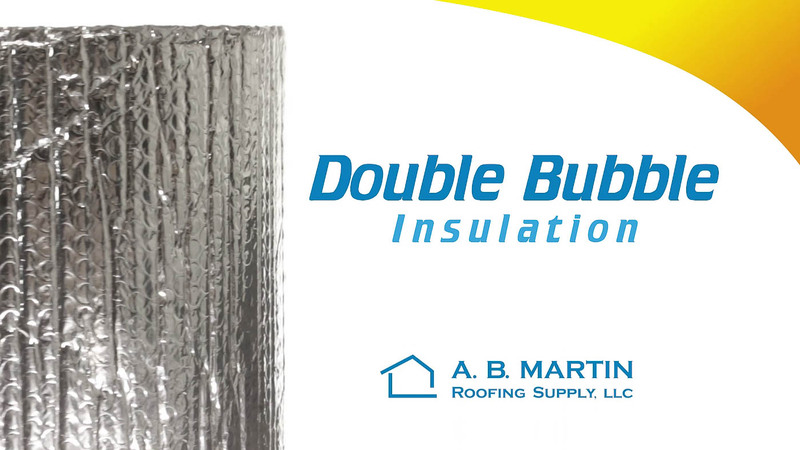 So if your customer doesn’t like the thought of a dripping roof, rusting panels, or if they would like to make their metal roof even more energy efficient, then consider upgrading the building with Double Bubble insulation. White vinyl soffit is great for a simple pole barn, but if your customer would enjoy a more polished look, suggest an upgrade to the Painted Steel Soffit. They’ll thank you for your attention to detail. 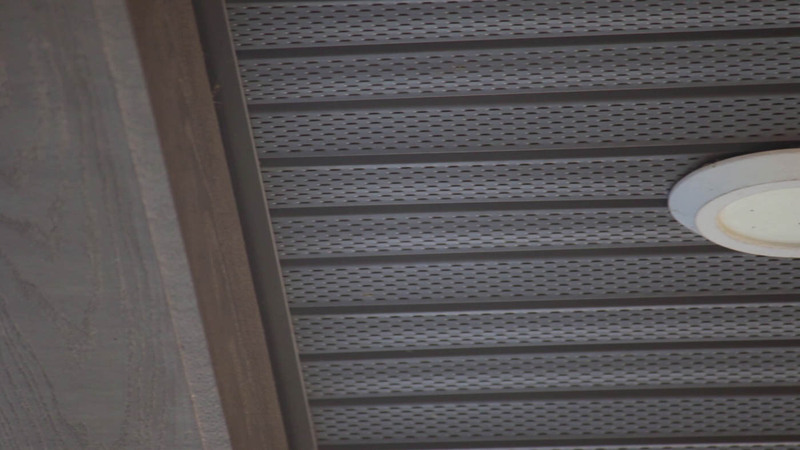 The 29 gauge fully-vented or solid steel soffit is available cut to length in over 45 colors that are color-matched to our metal panels and trims. When it comes to snow, we often think about the snow in our driveways, sidewalks, and on the roads as the only places snow can be a problem, but we should be thinking about the snow on our roof, too. 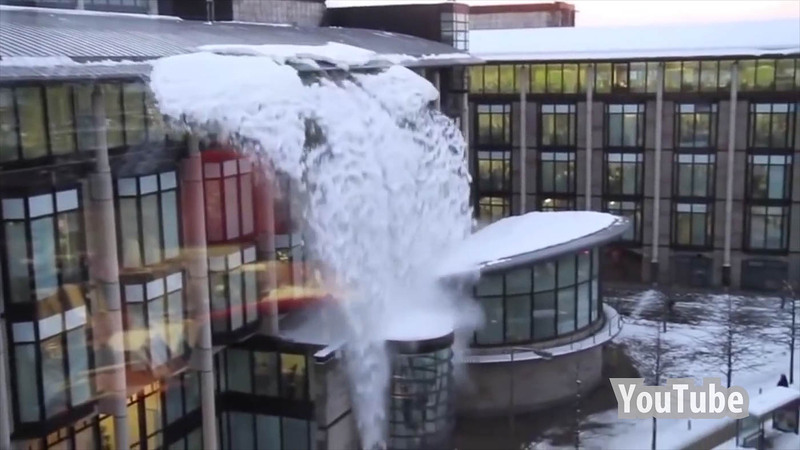 Sliding and drifting snow on a metal roof can cause serious structural issues. 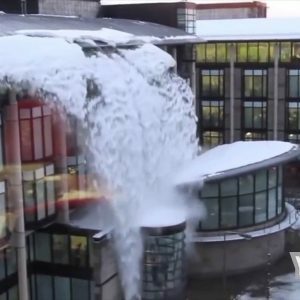 In addition to that, it only takes a second for sliding snow to destroy gutters, crush expensive landscaping, damage vehicles, or worse, cause injuries. 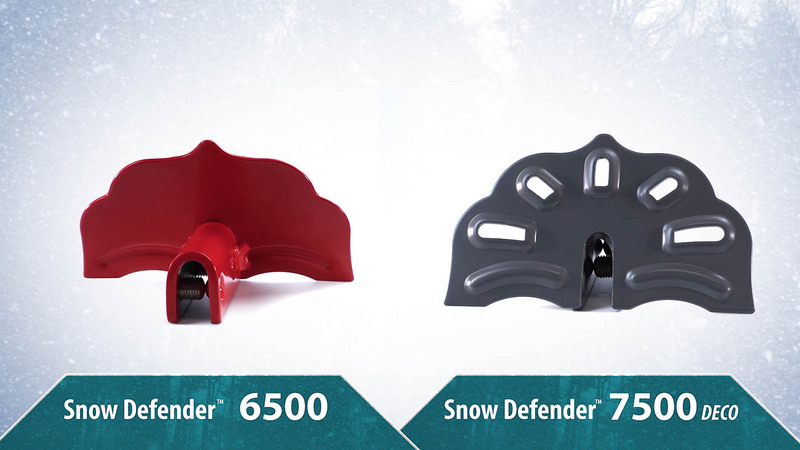 The team behind the Snow Defender line of snow guards have engineered two high-performance (and cost-effective) snow guards that are a perfect fit with A.B. Martin’s two most popular metal panels. 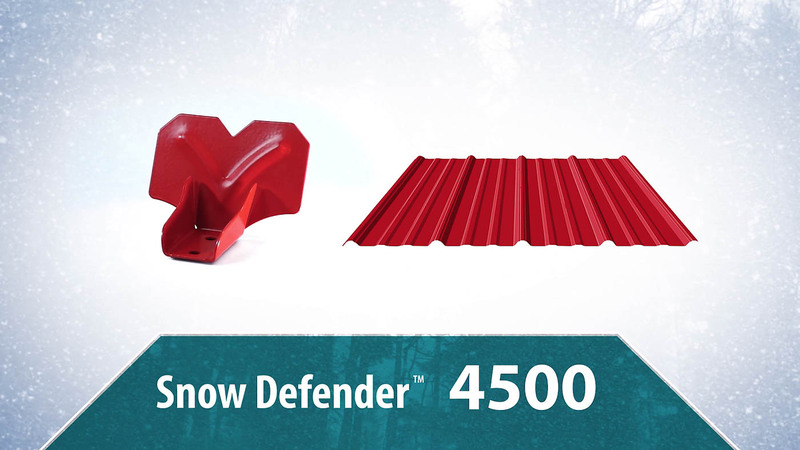 The Snow Defender 4500 for exposed fastener roof panels – like the ABM Panel – is a breeze to install thanks to the pre-punched screw holes and factory-applied EPDM Rubber Sealer. The 16 Gauge type 304 stainless steel that will never rust, is powder-coated to match our ABM Panel colors. The Snow Defender 6500 and the 7500 DECO are perfect for hidden fastener roof panels like the ABSeam Panel. The round point set-screw pinches the rib without penetrating the panel or compromising the warranty. Log on to SnowDefenderCalculator.com for a step-by-step calculator on proper snow guard installation. Show your customers that you care about their safety and the integrity of their metal roofs by telling them about the Snow Defender snow guards. Are your customers needing a product for the interior walls and ceilings that is rust-proof, resistant to chemicals, moisture resistant, and easy to clean? 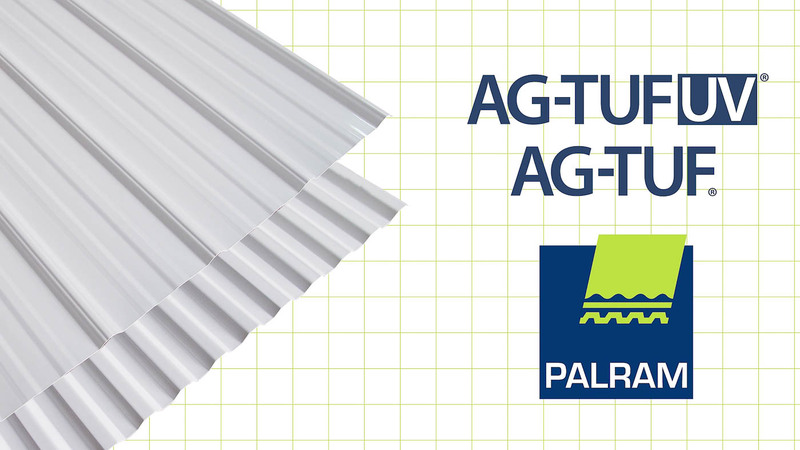 Meet the AG-Tuf panels from Palram. The extremely durable Ag-Tuf Corrugated PVC Liner Panel can stand up to some of the most abusive environments found in hog barns, dairy operations, poultry houses, dog kennels, car & truck wash bays, and more – while maintaining its attractive, glossy appearance and durability. Plus it is extremely easy to install. And if your customers are looking to brighten up the interior without increasing their energy bill, look no further than the SunSky Corrugated Polycarbonate Skylight and Sidelight Panels from Palram. 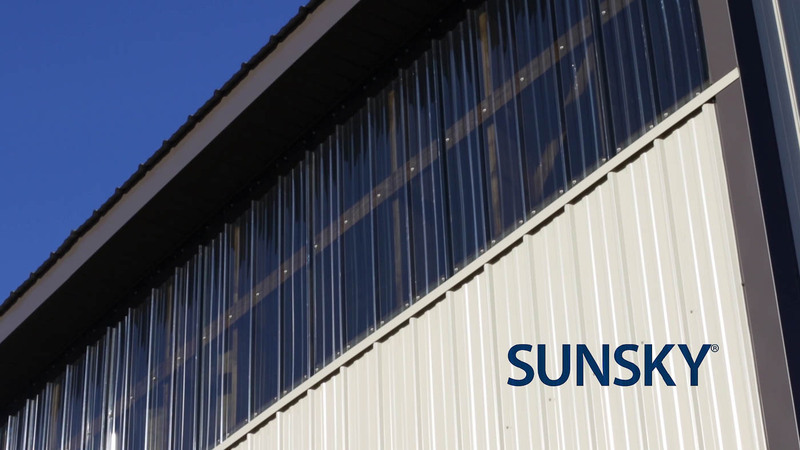 The SunSky panels are a great way to introduce natural daylight into your customer’s building while providing great impact resistance, warranted protection against yellowing, excellent load ratings, and the highest resistance to wind uplift. SunSky is available in soft white for maximum light transmission without glare, as well as clear, and a range of colors to filter light or reduce heat loads. And it is super easy to install. If you’ve been to A.B. Martin’s lumber yard recently, you’re probably familiar with this yellow tag that distinguishes Yellawood from other pressure treated wood. But what is it that makes Yellawood the brand of choice for outdoor building? For starters, their preservative technology is on the leading edge of the industry with proven performance in outdoor exposure testing for a variety of projects. Consumers like Yellawood’s lighter, more natural looking appearance that makes painting and staining more effective. Pros like the fact that it is approved for contact with aluminum and doesn’t require special fasteners except were specified by code. By the way, all Yellawood products are building-code compliant and many are available with specialty treatments like water repellant, K DAT, or factory applied color pigment. 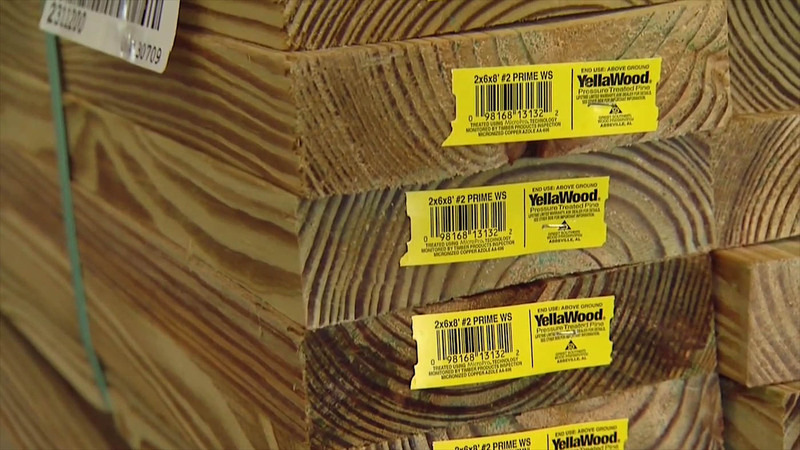 When you combine all of this with the fact that Yellawood carries a limited lifetime warranty for residential and agricultural applications and a 15-year limited warranty for fencing it only makes sense to choose Yellawood for your next project. A cupola is often considered the cherry on top of your building masterpiece. An ABMartin Cupola is a great add-on feature that you can offer to your customers to spruce up their building. Besides adding a distinctive highlight to the ridgeline, they can serve a practical purpose, too, adding extra ventilation. 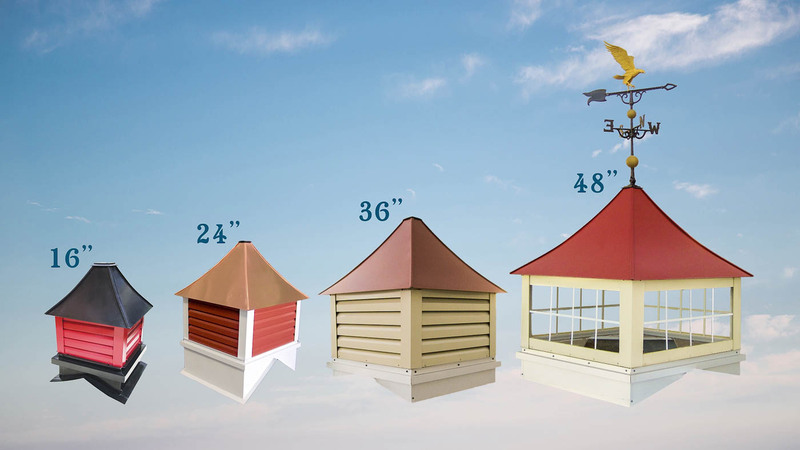 The ABMartin Cupolas are custom made to match your roof slope and color combinations. They’re available in 4 standard sizes, with window and copper roof options available. And what’s great for you, ABMartin Cupolas come pre-assembled for fast installation… so you can just screw it and go. 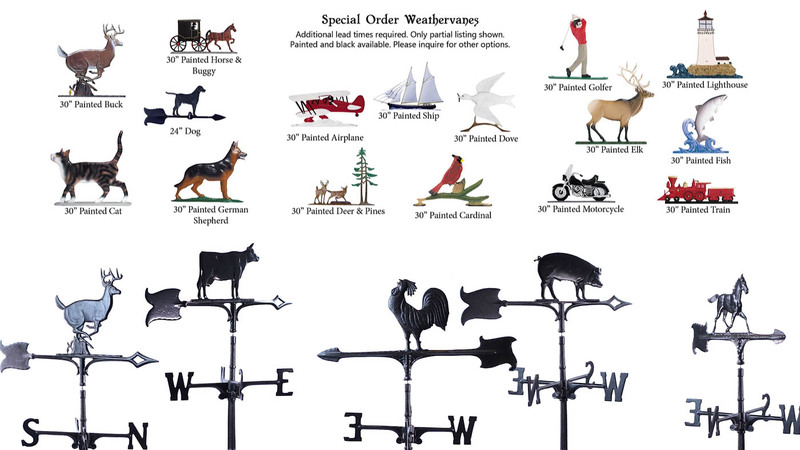 And, if your customer wants a cupola upgrade, they might also appreciate an elegant weathervane to go with it. We stock over 15 aluminum weathervanes with dozens more available for special order… including premium copper weathervanes. Learn more about A.B. Martin’s Cupolas & Weathervanes. These are just a few of the ways that you can increase value to your customers. If you need any more information, please speak with your A.B. Martin representative and let us know how we can serve you. © Copyright 2018, A. 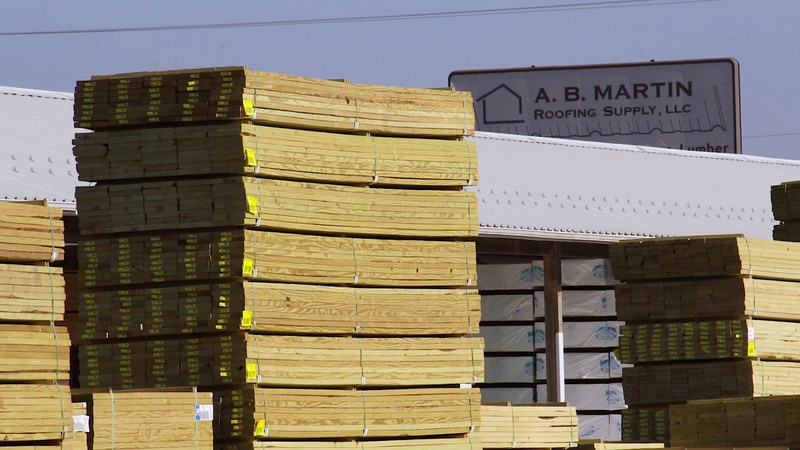 B. Martin Roofing Supply, LLC. All rights reserved. All copyrights are held by their respective owners.